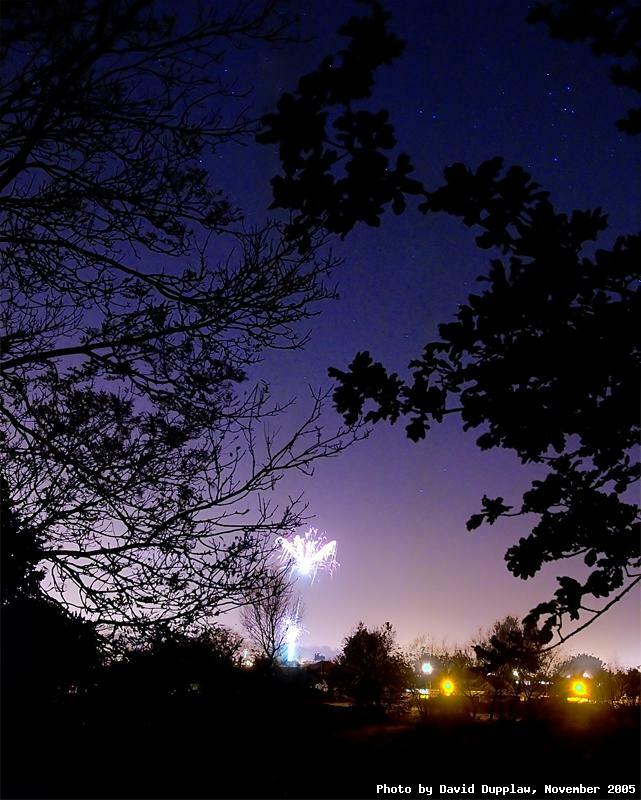 This photo shows some distant fireworks for Guy Fawkes night. It is captured with Delphinus, the constellation of the dolphin, high in the sky in autumn here in the UK. 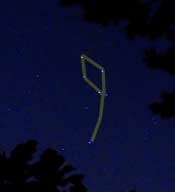 It is one of the few constellations that actually looks a bit like that which is represents (see the inset). The greek myths say the dolphin helped Posideon locate the mermaid, Amphitrite, and brought her back to be his Queen in his golden palace at the bottom of the sea. As a reward Poseidon placed the dolphin among the stars. I am not too happy with the composition of this shot. The constellation came out well, but the fireworks are a little crowded by the tree. I was standing in the road - a very dark road - when this was taken and it was very hard to judge where the next batch of fireworks was going to happen next.